Pros Assist is an accountancy firm with a gifted team of qualified practicing accountants with each office headed by highly experienced directors. With decades of experience in private practice and various industry sectors, advising sole traders and partnership clients alike, the directors lead each of their Pros Assist team in offering expert advice in all matters relating to taxation and profit offering wide ranging business support advising clients on project viability, business planning and funding. Pros Assist have been awarded by Finance Monthly Magazine as Business Review Advisory Firm of the Year 2018. Along with being awarded the accolade of Leading Accountancy and Tax Service Provider of the Year 2018 and Leading Business Adviser of the Year 2018 by Wealth & Finance Magazine. At Pros Assist, we pride ourselves as a dedicated team of professionals to ensure all your needs are taken care of to the highest standard. All our staff are highly qualified and professionally trained with several years of experience. We take a proactive approach to our work and make ourselves available when you are available. We are contactable during office hours and additionally out of office hours, evenings and weekends. Our mobile contact details are made available to our clients ensuring the highest level of care 24/7. Alom is an Incorporated Financial Accountant and an Associated Tax Adviser holding a Practising Certificate with the Institute of Financial Accountants. He has been in the accountancy industry since 2002 and has worked in small, medium and very large accountancy practices ever since. Throughout the years, he has gained a vast amount of experience in evaluating sole trader and partnership clients to assess whether they would be better off incorporating. He also advises clients on how to extract profits in the most tax efficient way. Alom also provides clients with a diverse range of business support, advising on project viability, business planning and funding. Building relationships, helping clients above all. Holistic financial services to a diverse range of businesses. Consultancy, not just accountancy work. Advising clients grow their business. Client relationship, bigger picture than just saving taxes. Help businesses in all shapes and sizes transform and improve themselves, maybe by changing their directions, or by giving them an edge over their competitors. We can help find the solutions by being an extension to your business. We can guide businesses and individuals in paying the right amount at the right time when it comes to tax planning. Pros Assist fees are extremely competitive. Working closely with startup companies, they have the startups best interest in mind when discussing fees. Know your expenses – what can I claim for? Will brexit affect our taxes? VAT – will your business benefit from the flat rate scheme? We are an accountancy firm based in Barnet, Central London, East London, Kent and Manchester specialising in business start-ups and maintaining small and medium sized businesses aswell as large businesses. As part of our Corporate Social Responsibility initiative, we are always reaching out to start-ups to help them setup and structure their businesses from the start. 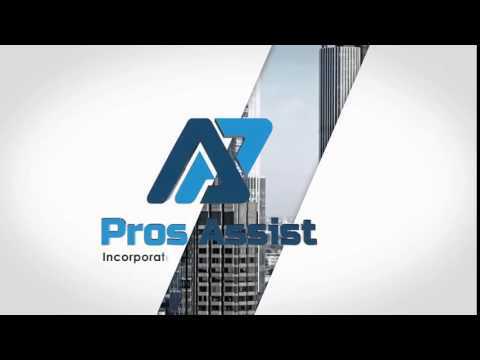 At Pros Assist, we offer FREE consultations to start-up businesses. So why not come along for some free business advice and have a coffee with us too. 9am to 5pm weekdays, by appointment available on evenings and weekends.